What is FOWLING all about? (It is pronounced like Bowling) CLICK HERE! 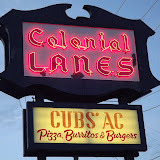 5 Ways To Get Children Excited To Go Bowling! Now Three In The Hole – Where Do We Go?